Now the new term has started and the Easter holidays are a distance memory, DON’T FORGET, you have just 10 days left to enter the RWB Arts Festival Music sessions. 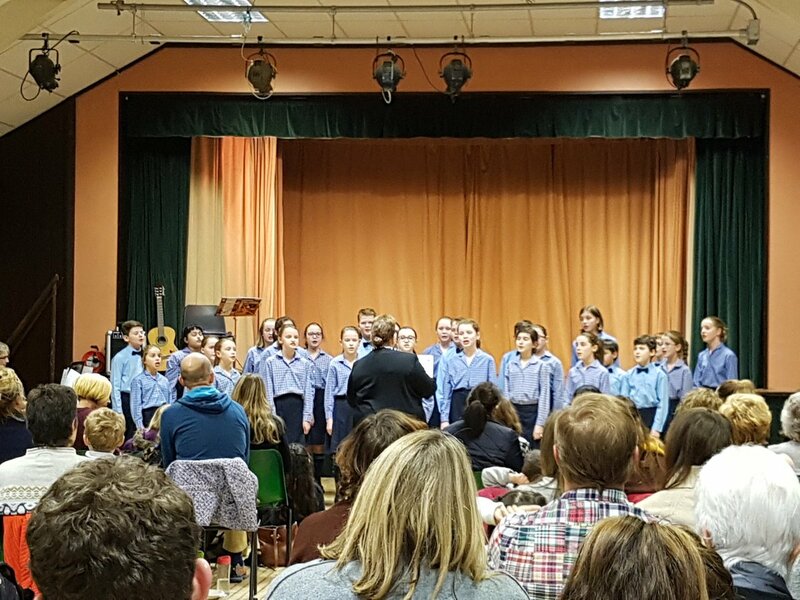 The deadline is Monday April 30th, and it is already proving to be a bumper year for Instrumental, Singing, Schools, Youth and Community Choirs and Piano classes. The Music festival is held at the end of June with the exception of the Classical Guitar which is held alongside the Speech & Drama festival in November. The full syllabus and entry form to download can be found here. Last Friday, 23rd February 2018, we had a wonderful evening at our annual Spring Gala event. The hall was full with proud parents, teachers, Committee Members, and of course, many excited child, young adult, and adult performers. There was an excited air throughout the Royal Wootton Bassett Memorial Hall and due to the overwhelming numbers in attendance we had to get more and more seats out to fit people in at the back! Jill Collett, as she very generously does each year, provided everyone with a lovely buffet full of sandwiches and nibbles to enjoy prior to the performances starting. She has our warmest thanks. This was a lovely way to socialise and settle in for a wonderful evening’s entertainment. The RWB Arts Festival Chair, Miranda Shirnia, kicked off by giving everyone a warm welcome and thanked everyone for attending. * We were sorry our President Sheila Harrod was too unwell to join us and we wish her a speedy recovery. 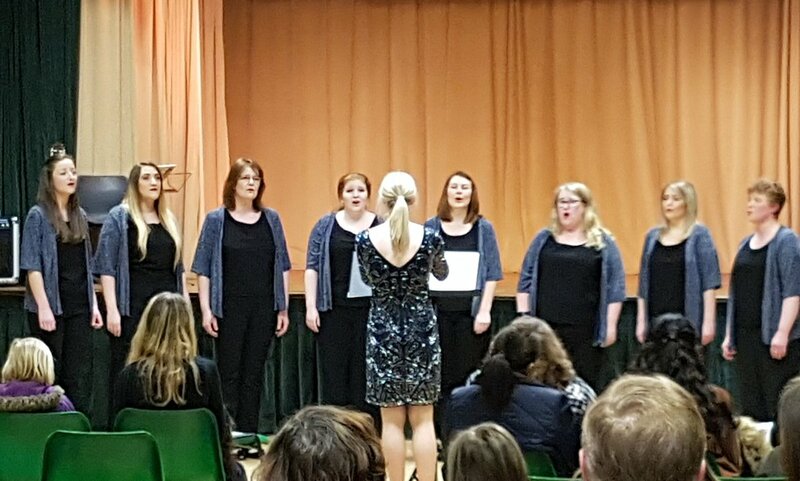 The performances were admirably compèred by both Miranda and another Committee Member Rhian Vaughan without either the evening would not have run half as smoothly! First up were St. Margaret’s Preparatory School, who were the winners of the 2017 Primary School Choir of the Year and Winners of the Primary Schools Choirs Cup. They sang beautifully such lines as ‘Where people go to dance the night away…. To dance til break of day’! They were very professional and and all looked extremely smart. In addition to this, they all behaved impeccably at the back of the hall. Next up was Isabella who achieved 2nd Place in the Novice Verse 9 & Under Class. She was a delight, although her poetry recital suggested teachers shouldn’t be let out on a Saturday night! I know a few who may disagree! Neil, our youngest performer, was our 2017 Pianist of the Year and Winner of The Debbie Lovell Cup. He played beautifully! We are grateful for WBLOS for the loan of the keyboard. 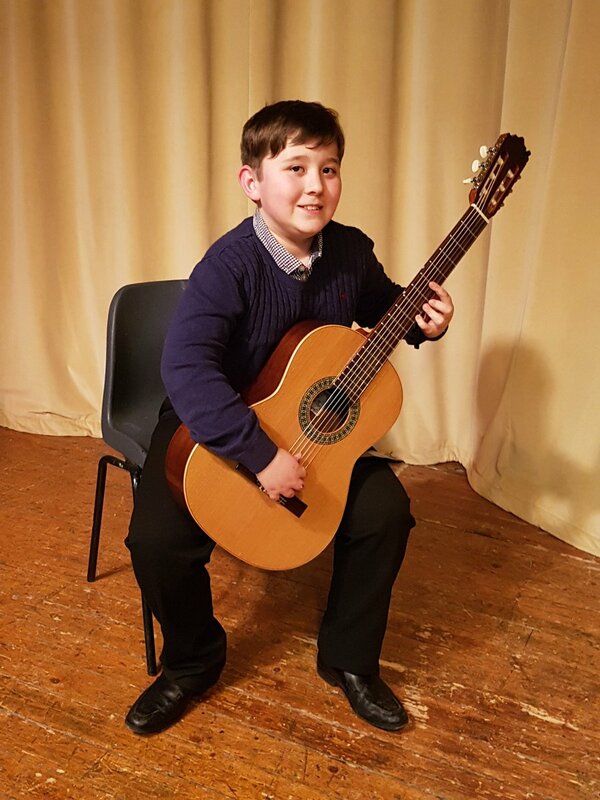 He was soon followed by another very talented young man, Aaron who had won Classical Guitarist of the Year in 2017 and was Winner of The Dreambase Studios Senior Cup. He played a couple of songs which had a balmy summer evening quality to them. Grace, Winner of the Verse Speaking class for Children Aged 12, then recited a lovely and lively poem about “‘Bog snorkelling’! Before Harry very thoroughly, and professionally presented his impressive collection of pieces for the Senior Recital Class he won in 2017. The evening finished off with some beautiful adult voices and sparkly outfits: Bel Canto: Adult Choir of the Year for 2017 and Winners of the Robert T. Elliot Trophy. They sang Billy Joel and created a varied but lively feel to end the evening on. After many much applause, and many thanks, Miranda our Chair announced the retirement of our Music Chair, John Davies. Both John and his wife Jan, have given much time and energy to the Festival and their energies will be much missed. They were presented with flowers and awarded life-long ‘Friends’ status. We thank them for all they have done and wish them well. Miranda, for whom the Committee is very grateful for all her hard work, also announced our new Festival website, new Twitter and Facebook account and informed everyone about the new syllabus which was available on the night, and can also be found here for Music, or here for Speech and Drama. The evening was concluded successfully and we hope everyone enjoyed themselves! Thank you to all who supported us, to all Committee Members who helped and continue to help, and to all of those who performed. *There was an announcement about photography taking place, and further consent forms were issued. The RWB Arts Festival 2018 Speech and Drama Syllabus is now available for download! The programme includes many possibilities for exciting performances at this year’s upcoming Festival. Thank you to all those who took part, their teachers, their friends and family, in the 2017 Festival and we look forward to seeing you all again later this year to show case your talent. 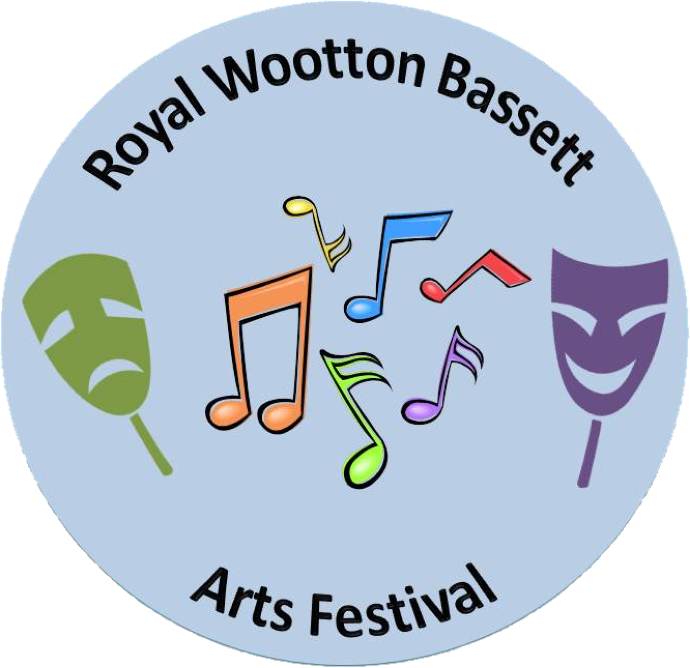 On Friday the 23rd February there will be a spring concert and syllabus launch for the 2018 RWB Arts Festival. This will be held at the Memorial Hall, Station Road, Royal Wootton Bassett. The programme will include special performances from the Music, and Speech and Drama Festivals held in the Spring and in November of 2017. This event is usually by private invitation only; however, if you would like to come and join us, please do contact us on RWBArtsFestival@gmail.com for a ticket or register at Event Brite for one. We would love to welcome you and encourage new friends and new interest in our Festival. So, do come along and enjoy a glass of wine, and see the wonderful talent of the next generation being showcased! 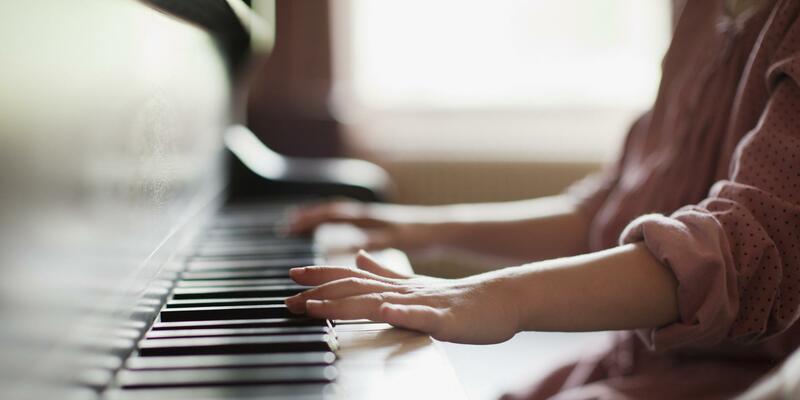 The RWB Arts Festival 2018 Music Syllabi are now available for download! The 2016 Syllabus has now been published and it includes a number of new classes.